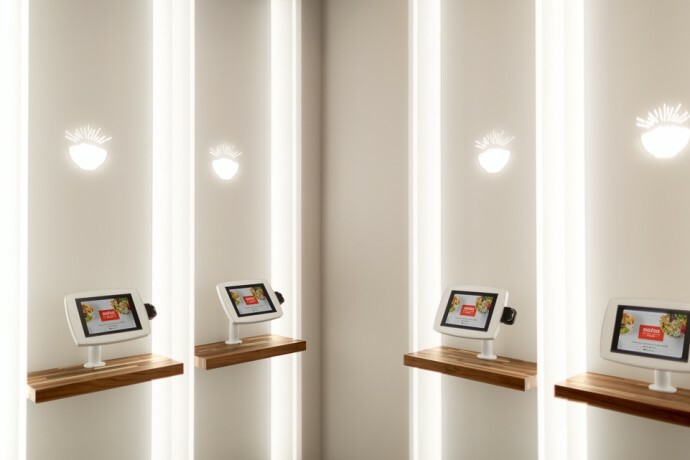 Venture-backed San Francisco startup company, Eatsa, is serving up healthy, quinoa-based fast food via 'robots.' Is this the restaurant of the future? Many glossy-eyed teenagers get their first paycheck working as cashiers at local fast-food joints. Those jobs, however, may just be about to disappear. Enter Eatsa. 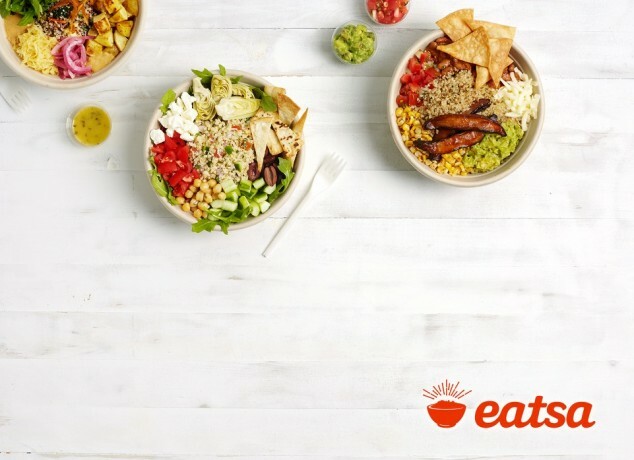 Eatsa is a new San Francisco startup serving up healthy, quinoa-based fast-food. Unlike other fast food restaurants, however, Eatsa has absolutely no cashiers or floor staff. In fact, its goal is to eliminate the need for customers to interact with its employees altogether. Instead, customers can go inside the restaurant and order using a touch screen on a modified iPad. For $6.95, they can select from a number of pre-set quinoa bowls, or customize their own with a variety of toppings. Because there are no cashiers, patrons pay with credit cards. Next, customers wait for their food along a long wall of numbered, microwave-looking cubbies. Meanwhile, in the back, a small staff of chefs and line cooks prepare the food, hidden from view. When the food is ready, it pops into the cubby, ready for pickup. The cubby screen then turns green and lists the customer’s name, letting them know their food is ready. Although currently only open in San Francisco, the startup plans to open a second restaurant in Los Angeles sometime this fall. 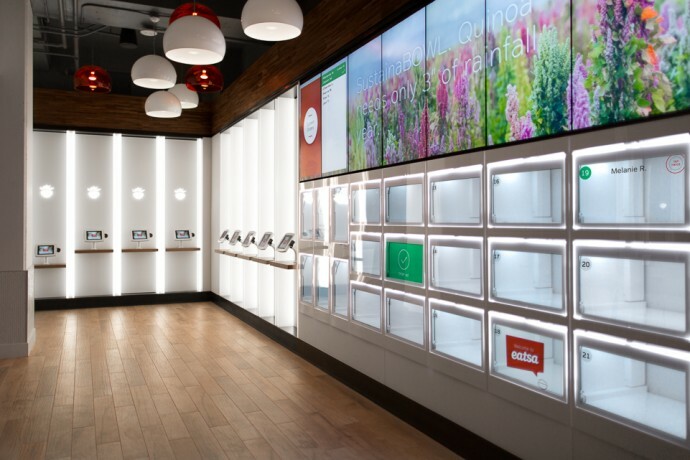 “With a virtual cashier and no wait staff, Eatsa is a seamless, personalized experience utilizing kiosk stations and a cubby pick-up concept which provides food when customers want it,” the company said in a press kit. The concept, of course, is not entirely new. Fast food chains such as McDonalds and Panera Bread have already been experimenting with kiosks that allow customers to order food. 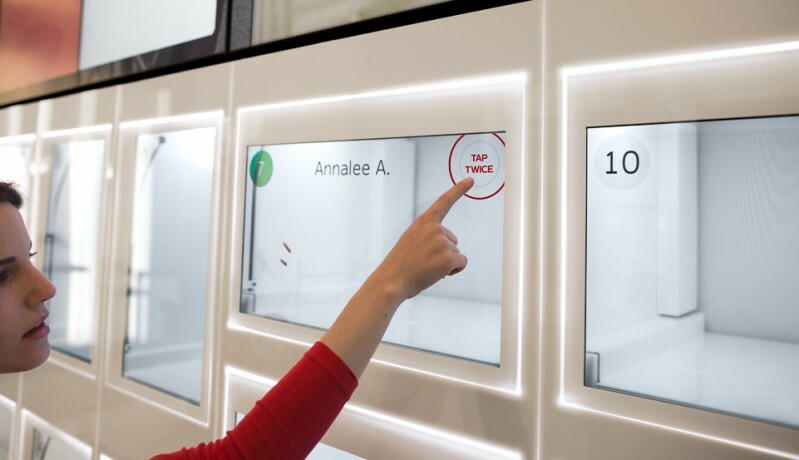 Stores in the Netherlands and Japan, meanwhile, also allow customers to buy food using a vending-machine like experience. Indeed, the trend is getting so popular that fast-food workers are starting to get nervous that their jobs will be replaced by kiosks and machines entirely. Customers, however, seem to be loving the idea, and Eatsa’s reviews have so far been excellent. Not only was the restaurant packed on opening day, but most have called the experience exciting and the food delicious, especially at a price point of about $7 per bowl. Given these positive reviews, it may just be time to push aside the glossy-eyed teenagers and welcome our robot overlords—or, at least when it comes to quinoa.